BMC Plant Biology is an open access journal publishing original peer-reviewed research articles in all aspects of plant biology, including molecular, cellular, tissue, organ and whole organism research. 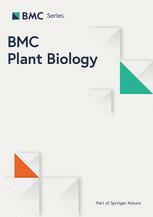 BMC Plant Biology is part of the BMC series which publishes subject-specific journals focused on the needs of individual research communities across all areas of biology and medicine. We do not make editorial decisions on the basis of the interest of a study or its likely impact. Studies must be scientifically valid; for research articles this includes a scientifically sound research question, the use of suitable methods and analysis, and following community-agreed standards relevant to the research field.